Make your next ride a journey through the greatest hits of 2018. 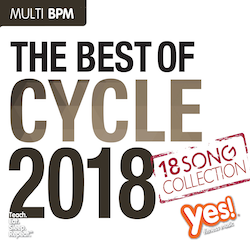 This pre-mixed trip is loaded with songs designed to match your cycle sets. It’s a sanity-saving, studio must-have.